These courses in Biblical Studies is unlike anything I’ve ever learned in my Christianity. The subject of animal sacrifice is especially fantastic. And while I love learning all of the Scriptures about how sacrifices were never something God desired, my mind can’t help but to go back to Genesis where we were taught that God introduced Adam and Eve to animal sacrifices as a covering for sin. Kay Fairchild explains that God clothed Adam and Eve in linen. But it doesn’t say that in the word…. Or does it? Oh the beauty of the Hebrew language, so rich in expression. A language we sometimes have to dig and discover as an archaeologist would. Proverbs tells us that it’s the glory of kings to search out a word … to search and examine its depths. I’ve spent two weeks on this essay, mostly digging through chapters 2 and 3 of Genesis. I once heard that to understand the Bible accurately, you have to have an understanding of the first few chapters of Genesis. I must admit every time I study it, I learn more about Abba’s goodness and His great love for mankind. And then yesterday after 2 weeks of discovering treasure after treasure in the depth of the Hebrew language a flow of writing just bubbled forth. It was like I had filled a vessel and Holy Spirit simply tapped it producing a crack in which the last 2 weeks just flowed out. I do love these essays. They are all so different, and they provide me with a diary or memoir of this beautiful journey of grace, my personal lech lecha! I can’t imagine what Adam must’ve felt after he ate from the tree of the knowledge of good and evil. But it must have been a feeling full of fear, confusion, and insecurity…. feeling no longer divine in the presence of Absolute Divinity. Scripture says merely he hid from the presence of the LORD God among the trees because they felt naked. But cloaked within all of those Hebrew words we get a glimpse of what that moment looked like from Adam’s point of view. We’re also not told what caused Adam and Eve to listen to another voice… a voice of insecurity, a voice of absolute incompleteness… a voice of lack. They went from hearing The Voice… Father, Son, and Spirit in the cool of the day, in the safe, beautiful enclosure of ONENESS with Yahweh Elohim. Now they had listened to another voice. These divine ones believed the great lie that told them God had withheld a part of Himself from them… that they were not FULLY made in the image and likeness of Elohim. And so after partaking of the tree of the knowledge of good and evil, they responded by withdrawing from God’s love. Scripture says they hid which in Hebrew reveals a picture of withdrawing from the love of God… from the oneness they enjoyed with Them. In their minds the enclosure of oneness… the intimate union with Elohim that they previously enjoyed was now severed in their minds. They felt separated from God, and so in response, their hearts became hardened (hid), and they severed (among) their understanding by closing their eyes (trees) to their enclosure (garden) in the ONENESS that is Yahweh Elohim and man…. They hid among the trees of the garden. I don’t know how long… how many years Adam & Eve walked with God in the cool of the day. Living life in the FULLNESS of the spirit…. living life in the fullness of fellowship with Father, Son, and Spirit. Walking, talking, loving… just simply KNOWING they were intimately included in this beautiful Godhead called Elohim… the Divine Ones. Knowing they were also divine ones… ONE with the Godhead. FULLY enclosed in Them… enclosed in ONENESS that couldn’t be broken even after he fell… except in his own mind. And so, while Scripture doesn’t tell us how long it was between Yahweh breathing the Breath of Life into Adam and him falling, I believe though it must’ve been a long time. What a dreadful feeling to feel separate from Them after spending all of their days intimately knowing and intimately known by Father, Son, and Spirit. All Adam had known was life, and now he would experience death…. which he knew nothing about. The serpent hissed the lie. He didn’t merely say “Yea, did God say that you shall not eat of every tree.” That would allow for a yes or no answer. In this verse in Hebrew is the word aph (which we translate as yea). This word in its ancient root is a picture of an ox and a mouth. It means to breathe heavily through the nose in passion or anger. It was an angry hiss that literally in Hebrew said “Even if God said do not eat from any of the trees of the garden… and trails merely off into nothingness; the sentence has no end. EVEN IF! The term “even if” allows for personal opinion. It enables us to draw conclusions not based on what God has said but on what we think. We do it in the area of healing. EVEN IF God said that by His stripes we are healed, my experiences say something different. EVEN IF allows for subjective perspective. I like that the tree of the knowledge of good and evil in Hebrew is also translated the tree of the discernment of functional and dysfunctional. Functional is tov in Hebrew and means fulfilling the action for which a person or thing is specially fitted, used, or which a thing exists; functioning within it’s intended purpose. Its ancient root means good, and to surround the house; the house is surrounded by grace, beauty, love, health, and prosperity. Those are the parameters of what functional or tov is. Sounds like salvation (sozo) to me! Adam had that discernment. We see that with his naming of the animals. He named them according to their design or function… for the intended purpose that they existed. Dysfunctional is ra and means impaired or abnormal action other than which a person or thing is intended. Something that does not function within its intended purpose. I would assume it would be anything that doesn’t fall within the parameters of goodness… of grace, beauty, love, health, and prosperity. So, to partake of this tree would be to have intimate knowledge of something or knowing something by experience that is not of grace, beauty, love, health, and prosperity. Having an intimate experiential understanding of what God has not called TOV. Here they were with this new knowledge… this new discernment. Suddenly aware of what was not grace, beauty, love, health, and prosperity. Fearful because of their nakedness…. In chapter 2 they were arom – naked and unashamed… bare and unclothed. They were innocent, bold, no feelings of guilt or regret… they were not conscience-stricken. Simply clothed with an awareness of their union with God and who they were…. Image and likeness of God, divine ones. Now here in chapter 3, Adam is afraid and quivering in fear behind a tree. Not a fear of God but of his nakedness. His consciousness of being naked terrified him – it even trumped his shame of disobeying. His perception now outside the parameters of good… outside of grace, beauty, love, health, and prosperity made him , and he hid from God… he withdrew from the face of God. He turned away from Abba. The word for naked that he uses to describe himself is erom and is also used in Deuteronomy 28:48. In Deuteronomy, it describes being enslaved to an enemy whose purpose is to destroy you! To completely annihilate one’s condition or existence. It has its own set of parameters…. Hunger, famine, thirst, dryness, drought, naked (being uncovered, stripped), lacking in everything and with an iron yoke of oppression around your neck. The word sewed is also used in Job 16:15 when Job is talking about his distress. He sewed sackcloth upon his skin and laid his horn or his strength in the dust. The next verse says his face is flushed… flushed is used twice to emphasize it. It was extremely flushed from bitter weeping, from mourning and crying tears of intense regret and disappointment. And on his eyelids is the shadow of death. Eyelids at its root is open eyes. The reason Job covered himself with sackcloth was because he felt God delivered him up to the ungodly and turned him over to the hands of the wicked. Sounds like the definition of Adam’s perception of his nakedness. Adam’s eyes had been opened… on his eyelids (one translation is gaze) was the shadow of death. And so, he sewed (like Job) fig leaves to cover this nakedness. The word leaves is aleh, the ancient root of this word is al and means to experience, to see, to know the shepherd’s staff… His leading. The last letter in aleh is hey which is a breath or to sigh… this was the deep sigh of their heart, to experience His rest once again… to be rescued from this chaos that he had just entered into in his mind. These fig leaves revealed their perceived uncovering, their loss of identity. All this did was provide a natural covering. As I was looking at the Hebrew words for sewed together fig leaves to cover them. I saw in them the cry of this man and woman’s heart. Sewed together is merely to sew together, but Holy Spirit pointed out the Hebrew letters of this word which is Tav (sign), pey (mouth), and resh (beginning, first). When combined it reads a sign of what was spoken from the first. While sewing these leaves together to cover themselves, they were crying out for an indication, some kind of sign, of what was spoken from the beginning…. Image and likeness of God, with dominion over all things. God’s response to Adam was who told you that you were naked… erom? Who told you that you were without My protection? Without My covering, without my glory? Without My fellowship? And without My provision? Who told you that you were enslaved to an enemy, and no longer gods who have dominion over all things? And because He is such a good and loving Abba, He made garments of skin for them. He saw beyond the fig leaves and heard the cry and the sigh of their heart for identity… for a sign, a mark of what was spoken from the beginning. So, God made garments of skin for them, had a conversation amongst Themselves about Adam and Eve, banished them from the garden and placed a whirling sword of flame to guard the way to the tree of life. Sounds pretty formal, cool and distant…. not at all like the Yahweh Elohim I have come to know over the last couple of years. But I’m so glad the Hebrew language paints a more beautiful picture of these verses. Yahweh Elohim made garments of skin for Adam and His wife and clothed them. In Hebrew, it says He made them kethenot (tunics) of owr (skin) and clothed them (lavash). The verse doesn’t that God provided a sacrifice to cover them. The word owr (skin) can refer to an animal or human skin. Many rabbis believe that Adam and Eve went from being clothed in light (owr) to being clothed in flesh or skin (owr). Psalm 104:2 says that God is enveloped or wrapped in light (owr – aleph, vav, resh). The skin that Adam was clothed in is owr (ayin, vav, resh) which at its ancient root means bare skin. I think it warrants further study into those words. I think it definitely casts doubt on our belief that God sacrificed an animal and covered them in the skin of that animal. Especially when you couple that with so many Scriptures that talk about God’s displeasure with animal sacrifice. In fact, it doesn’t say He covered them at all…. That was what they had tried to do in covering themselves with fig leaves. Instead, it says that He clothed them. The verb lavash (clothe) is also used in Leviticus and Numbers, referring to the act of clothing Aaron in priestly robes. I like the reference to the priestly robes. The word tunic in Hebrew means robe. Exodus 39:27 talks about tunics of fine linen that were made for Aaron and his sons. Interestingly, these garments they believed served as an atonement for sin just like they believed the sacrifices also served as atonement for sin. This tunic of linen was what the high priest wore on Yom Kippur… the day of atonement. This linen tunic was symbolic of atonement. And Revelation 19:8 and Isaiah 61:10 refer to these tunics as robes of righteousness. God clothed Adam and Eve in robes of righteousness…. A linen tunic of their at-one-ment with God. Adam had left the realm of the Spirit, the cool of the day experience. He lost his perception and understanding of spirit. God never turned away from Adam… Adam turned. It was time for Adam to leave the garden, and Abba went with Adam out of the garden. But before that happened the Godhead would have a discussion about Adam’s new knowledge of good and evil, of function and dysfunction, and what that would mean in his new world that he would now inhabit. And Yahweh Elohim said “Behold.” In Hebrew it says, And Yahweh Elohim said “Hen.” Hen at its root is a picture of arms extended out and saying “look!” It is when one sees a great site close by or in the distance, and he extends his arms out and sighs as if saying, “Ah, look or behold that!” It’s a looking toward a breathtaking sight or action. It’s a sigh of desire or a sigh of pain. A continually looking toward something desired…. Toward “THERE.” Yahweh Elohim talking amongst Themselves is saying IN SPITE OF the fact of Adam and Eve’s actions. They are drawing the readers attention to an event so breathtaking, of such magnitude, so glorious in that it was greater than the fall. The fall could not destroy who man already was… image and likeness of God with ALL dominion over ALL things! So, in love, the Lord cast them out from the garden. From the enclosure of all that was good. But he didn’t send him alone. Right after the words, He will drive them out and also after Eden are two aleph tavs. Adam’s new life outside of the garden, he is hemmed in by aleph tavs. Hemmed in by Yahweh. Hemmed in by the power of God’s covenant. Hemmed in by the First (Aleph) and the Last (Tav)… by the reminder that the end shall be as the beginning. Such a beautiful picture in Scripture of God never leaving nor forsaking man. And God set cherubim and a flaming, whirling sword to guard the way to the tree of life. Hebrew says that a bit different. In between cherubim and flaming, whirling sword is an aleph tav. One translation I read said the cherubim and the Blazing One… connecting aleph tav to the flaming, whirling sword. The root of the word flame is authority contained. And whirling is the act of overturning something; to turn something upside down to pour out its contents. And this cherubim and sword (or Blazing One) were to guard the way to the tree of life. The word guard is also a qal infinitive construct with a lamed prefix expressing something temporal. And right before the word way is an aleph tav. Oh, what a beautiful verse of redemption that would come in Christ. He is the Blazing One. His authority was contained until the time appointed by the Father, when He would come to earth as a Man and reveal to us the love of the Father and who we have always been. Adam was assigned to keep (shamar) the Garden and failed. Jesus would completely undo what Adam did. Verse 24 says the Blazing One would guard the way to the tree of life. He would shamar….He would because He was The Way and The Tree of Life. He would guard and keep the power of the covenant… As the First and the Last, as The Way and as The Tree of Life and by taking the ax to the trees of sin and death and removing everything that had hindered man in their cool of the day experience. And we are the cherubim.. people of The Blessing guarding and keeping the way to the Tree of Life by preaching only Most Holy Place truths. In the word picture of Adam covering with fig leaves was the deep sigh or cry of his heart for identity. 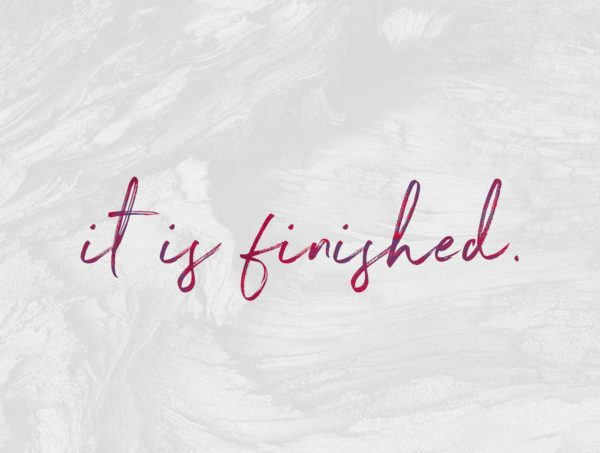 This robe of righteousness… the linen tunic of their being at-one with Father… was God’s response to Adam. A sign, a mark, His very own signature of what was spoken from the beginning. Previously they were merely naked… clothed with light, shining with the glory and the fire of God. Now these tunics of skin (owr), these robes of righteousness, that clothed their flesh would serve as a reminder of the light (owr) that they had been their only illumination before partaking from the tree of the discernment of functional and dysfunctional. It would be their true north, their fixed point in a world that had spun out of their control. A reminder of what was spoken from the first… they were still image and likeness of God. They were cast out to the East of Eden. East in Hebrew is like our North Star, it orients them… gives them true direction. All Adam had to do was look to the East… look to Eden, to the Beginning to get his bearings when things got difficult. When He needed a reminder of who he was and who all mankind was. So God kept reaching out and breathing out His love to them — even as mankind began to digress more and more away from the spirit realm. David said if you ascend to the heavens, He’s there or to the depths of hell, He’s still there! God was always there pursuing them in love. Refusing to let go of them no matter how far they turned from Him. Even if mankind forgot who they were, God knew… He knew they were divine, eternal ones who had come from Him and would one day be reconciled to Him. Oh, the joy that must’ve exploded from His heart when the fullness of time had come! His mind, His heart, had ALWAYS been on His beloved mankind! No wonder Jesus cursed the fig tree in Mark 11. It says He was hungry, needy, famished as He came out of Bethany. Bethany means house of figs or house of affliction. Adam’s nakedness, erom, spoke of affliction, hunger, famine, neediness. It says He saw the fig tree from afar. Did Jesus see the fig leaves and it stirred within Him the remembrance of Adam’s perceived nakedness after eating from that tree? And so, He cursed it and said, “May no one ever eat (partake) of your fruit again.” Then in His death, He put the ax to the root of the trees (of sin and death) and threw them into the fire. Jesus obeyed… He completely undid all of Adam’s disobedience. He abolished death and brought life and immortality to light through the gospel. Jesus, the Tree of Life, completely removed the hindering tree of the discernment of function and dysfunction… leaving only the Tree of Life for us to eat from. No more would mankind have to feel lost, alone, uncovered and separated from God. No more would mankind have to hunger and thirst for righteousness or go through seasons of dryness or drought. No more would mankind be enslaved to an enemy that would strip him of his perception of who he is INSTEAD Jesus stripped the enemy and made a public show of them having triumphed over them. And NO MORE would mankind not know the love and the intimacy of the ENCLOSURE of the ONENESS of themselves and Father, Son and Spirit in this beautiful journey of life called grace. Because Jesus… the Blazing One, the Way, Yahweh Elohim Himself came to reveal our life and immortality in Him because He is the Tree of Life.